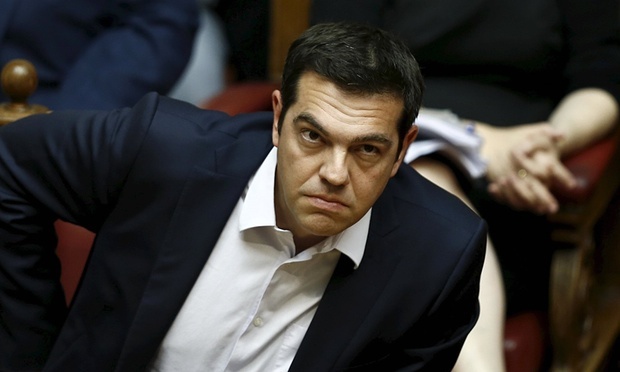 Last Minute Coward: PM Tsipras Betrays the Greek People! After the July 5 Referendum in Greece—where the people voted “oxi” (no) on austerity measures from the Troika—I stated that, in calling a referendum and urging the people to vote no on EU austerity, prime minister Tsipras’ government had stood up to global economic power. But it appears I may have spoken too soon. It is being reported that despite being the brains behind the referendum and despite his appeal to the people to vote NO (to austerity terms), Tsipras has caved to Troika officials/Eurozone finance ministers in the eleventh hour! The situation is still unfolding, but what a traitorous tragedy for the people of Greece! What a mess! One has to wonder what kind of pressure or bribery was hoisted upon him in the wake of the “no” vote. Could it be that Tsipras was only raising the stakes (by calling the referendum in the first place) and hoped that the Troika wouldn’t call his bluff, or, that other states (Russia or China) would “bail him out”. Whatever his deal, way to raise and then completely quash the hopes of the people in the span of one week. It is still not known what the people will do in the face of this betrayal and how they will react to being used as pawns. This all goes to show that the global banking mafia will never tolerate true (i.e., not rigged or pre-determined) democratic expression.